Sunwest Aviation Ltd. is the leading Western Canadian operator of jet and turboprop charter aircraft. Our jet fleet consists of 15 aircraft: 1 Challenger 604, 1 Challenger 350, 3 Challenger 300, 1 Gulfstream 150, 1 Gulfstream 550, 1 Gulfstream 650, 1 Hawker 800 XP, 3 Lear 45, 1 Lear 35 and 2 Citation Sovereigns (C680). We also have a fleet of 17 turboprop/piston aircraft including: 6 Beech 1900D, 2 Metro 23, 1 Metro II, 2 King Air B200, 1 King Air B350, 4 Dash 8, and 1 Piper Chieftain. Based on our fleet diversity, Sunwest is able to offer excellent opportunity for advancement. With over twenty years of safe operation, we have established a solid reputation in the aviation industry. Operating from a modern facility in Calgary, Alberta, our aircraft are available for charter to thousands of destinations not served by scheduled airlines. Sunwest Aviation Ltd. has an opportunity available for a Director of Maintenance within our Maintenance Operations Department. Reporting to the Vice President & C.O.O., this position is responsible for all portions of CAR 571, 573, and 605 that are applicable to the AMO scope of work and the overall productivity, efficiency and cost effectiveness of the Sunwest Maintenance Department. •	Responsible for oversight of all maintenance activities carried out, including external shops. •	Provide guidance as required to senior maintenance personnel. •	Responsible for all negotiations with respect to maintenance related contracts. •	Overall responsibility for all personnel training and their records per the regulatory requirements. •	Duties associated with these responsibilities are monitored and assigned to other personnel as required. •	Review and approve all operational maintenance invoices. •	Monitor and maintain acceptable inventory levels in conjunction with Stores and Purchasing. •	Participate in bi-weekly Management Committee meetings and quarterly SMS reviews. regulations and the Sunwest AMO and related manuals. (HITS) are responded to in a timely and thorough fashion. through the SMS and its processes. •	Coordinate and communicate with Transport Canada and other agencies and bodies on issues relating to safety. so as to minimize the risk of uncoordinated stakeholder actions. The successful candidate should possess the following minimum qualifications and competencies. In addition, personality profiling will be required of all candidates granted an interview for this position. 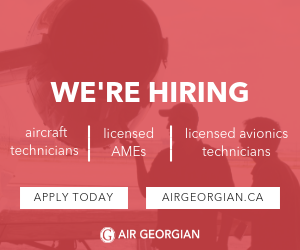 •	Transport Canada Approved Aircraft Maintenance & Technology Program. •	Minimum 6 years as a Licensed Aircraft Maintenance Engineer (M1 & M2). •	Must meet Transport Canada interview requirements and must be qualified in accordance with CAR 573.04. •	Minimum 5 years supervisory/management experience required. •	Strong leadership skills and hands-on management approach. •	High regard for confidentiality and discretion. •	Strategic and proactive thinker. •	Ability to foster relationships at all levels across the company by maintaining confidence and building trust. •	Willingness to delegate effectively. •	Treat people fairly, equitably, and with respect. •	Ability to work effectively within a high pressure environment. •	Adaptability to process changes to achieve improvements in organizational efficiency. •	Strong problem solving, negotiating and decision making abilities. •	Solid communication and interpersonal skills. •	Good time management and multi-tasking skills. •	A highly service-oriented individual. •	Possess strong initiative, self-motivation and a positive attitude. All interested candidates should visit the Career Centre at www.sunwestaviation.ca to complete an on-line application form for posting #2019-006AV.